St. Peter’s Addiction Recovery Center is a network of substance abuse treatment facilities and is part of St. Peter’s Hospital. Each of the facilities that are operated under the organization provides specialized care for patients who need to undergo a program to help them overcome addiction. The facility is equipped with appropriate staff members to ensure any kind of drug addiction can be addressed through their services. They can also assist patients in overcoming alcohol addiction. Fee structure and other details are transparent to ensure the patient knows exactly what to expect, and the facility accepts most insurance programs, ensuring more patients can gain access to quality treatment for their addictions. A single facility operated by St. Peter’s Addiction Recovery Center provides patients with residential treatment services. The facility features a total of 40 beds, and there are two beds fitted into every room, which means all patients will be required to share their room with a roommate. In addition to the residential unit, the facility also has a ward for medical stabilization, where detoxification services are provided to patients who are in need of recovery. The ward can provide detoxification treatment to 18 patients at a time. Specific details of how the detoxification unit has been laid out are not provided on the website that represents the center. Since the initial foundation of St. Peter’s Addiction Recovery Center, the company has expanded and now operates different units where specialized care services can be provided to patients with addiction problems. The company has different types of addiction recovery services that they offer the patient. The specific treatment options that will be provided to a patient depends on the findings of their initial assessment, which needs to be conducted before a customized program can be compiled for them. The company has also established a specialized outpatient treatment program for adolescents with addictions. St. Peter’s Addiction Recovery Center wants each of their patients to fully understand what to expect in terms of billing and payment options before they are submitted to the facility. For this reason, the facility provides a complete overview of fees that the patient should expect to pay if they require treatment at any of the units that are operated by St. Peter’s Addiction Recovery Center. Patients will be required to pay for an assessment. Furthermore, therapy sessions will be charged on a per-hour basis for patients undergoing an outpatient program, while residential patients will be charged a fee for their entire stay, which includes housing, meals, access to several amenities, and frequent therapy sessions. St. Peter’s Addiction Recovery Center is fully licensed and has received accreditation from a national body that specializes in reviewing addiction treatment facilities throughout the country. 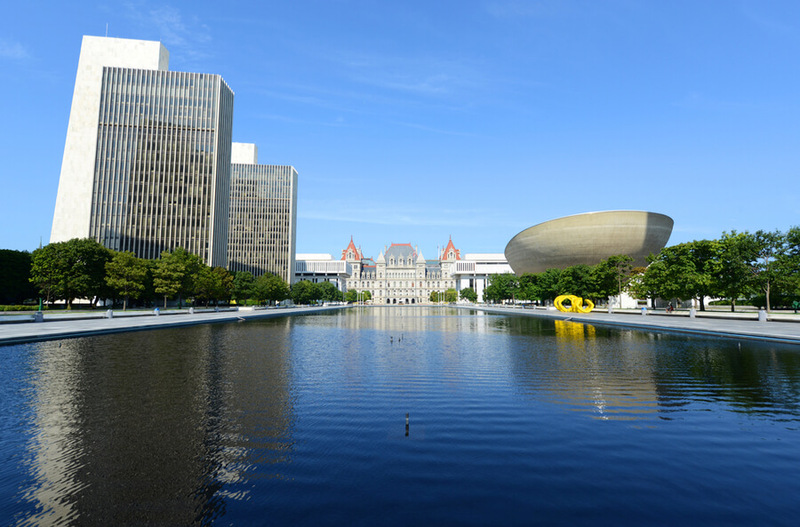 The facility holds two licenses with state-based authorities, including the New York State Office of Alcoholism and Substance Abuse Services, as well as the New York Office of Mental Health. The Joint Commission has also accredited the facility for the quality of their services. All patients undergoing detoxification will be closely monitored by experienced and skilled staff members at all times. This ensures the patient has no chance of relapse and can be provided supportive care as they need it. Patients undergoing the recovery inpatient program will also be monitored 24/7. All residential patients are provided access to daily meals that are prepared by appropriate staff members at the facility. Patients also have the option to take part in spirituality programs and also gains access to yoga programs when they are admitted to the residential treatment program. St. Peter’s Addiction Recovery Center has a single page that represents them on the official website of the St. Peter’s Hospital. While the page shares a large number of details in terms of how they are able to assist patients to help them recover and what they can offer the patient who is struggling with an addiction, the page does not offer any details of the staff members that are present at the facilities where substance abuse treatments are offered. While patients will be able to gain more insight into the staff members that will be providing them with treatment if they become a patient at St. Peter’s Addiction Recovery Center, the hospital now has multiple facilities where treatment is provided, so the patient would need to ensure they visit the facility where they will undergo a treatment program if they wish to learn more about the staff members.